With so much time and money invested in your lead generation campaigns, you’re likely facing significant challenges meeting your marketing objectives. 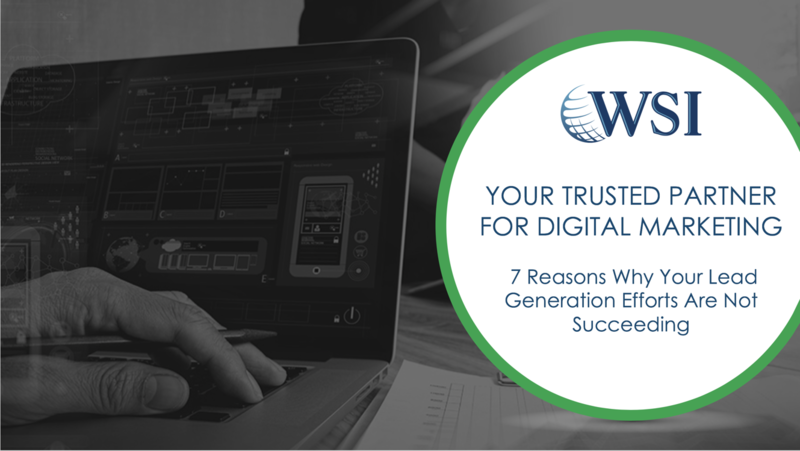 It’s an issue that many owners of growing businesses encounter, and that’s the reason we’re hosting our “7 Reasons Your Lead Generation Efforts are Not Succeeding” seminar. In the seminar, we’ll provide solutions to the main seven issues and outline what you can do to maximize campaign success in the future. In this post, we’ll provide a short overview of our seminar. What are the reasons for lead generation failure? We’ll highlight how to create a digital marketing blueprint that brings together the key elements of a refined online marketing campaign. We’ll provide examples of strong case studies and explain how to align case studies and testimonials with your marketing goals. We’ll highlight how the lead waterfall model can streamline the handoff of leads from the marketing to the sales team. Our upcoming seminar “7 Reasons Your Lead Generation Campaigns are Not Succeeding” will offer you further insights on how to hone your lead generation strategies for the long-term. The seminar is scheduled for September 25th at 11 a.m.